​Maryam Monsef is an Afghan Canadian politician. She is the current Minister of Status of Women in the 29th Canadian Ministry, sworn in on Jan 10, 2017. Monsef was born on Nov 7, 1984 in Mashhad Iran, officially as an Afghan citizen. Both of her parents were from Afghanistan but were compelled to flee during the Soviet-Afghan War. Her family struggled in Iran due to the limited economic and social prospects available for Afghan migrants. Following her father’s death in 1988, the family decided to move to Canada, embarking on a strenuous journey through Iran, Pakistan, and Jordan. After arriving in Canada, the family stayed in Peterborough, where Monsef’s uncle was already living. Growing up, her family relied on support from charitable initiatives such as the YMCA and the Salvation army. Monsef is the former Peterborough mayoral candidate. She was championed as Canada’s first Afghan-born MP. She is also a passionate volunteer and always finds time to support humanitarian processes and initiatives, despite her success in the realm of politics. 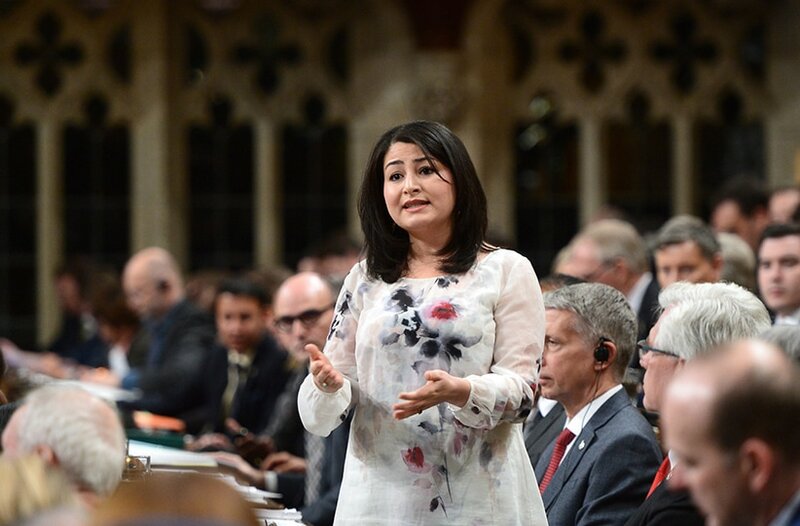 ​Monsef was the co-recipient of the YMCA’s peace Medallion, and represented Peterborough in 2013 at the United Nations Commission on the Status of Women. She served as the minister of Democratic Institutions from November 2015 to January 2017.